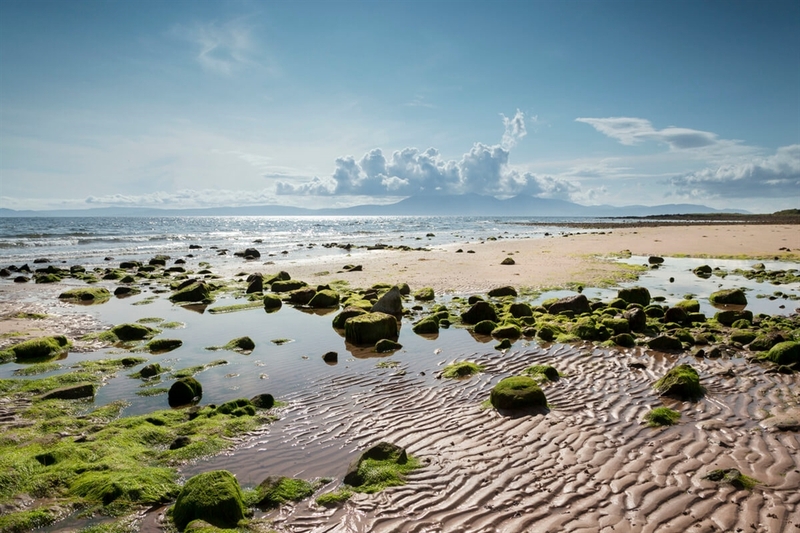 West Kilbride boasts fine views over the Firth of Clyde and a good golf course. 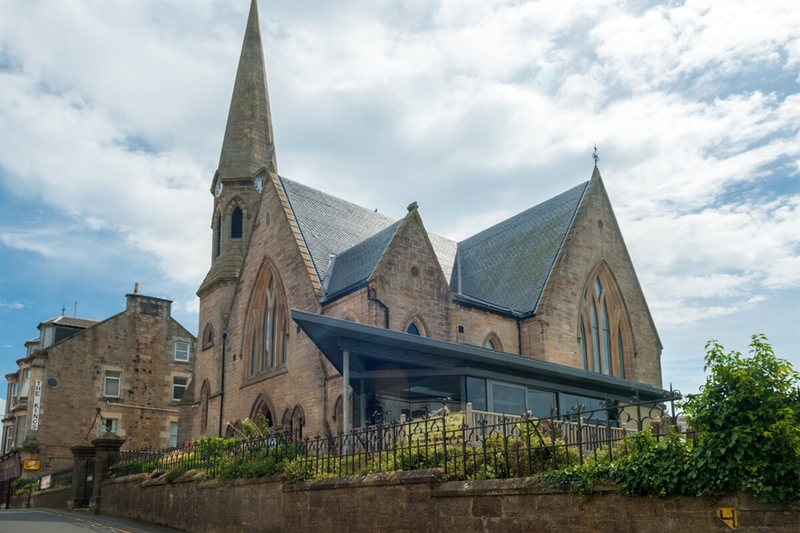 West Kilbride is also known as Scotland’s first craft town, and is home to a variety of studios and galleries which showcase local artists' work. The Barony Centre is a major exhibition space and a café can also be found here. West Kilbride Museum is located on the first floor of the Village Hall, where you can admire art and history displays. There are several outlets serving food and a supermarket for all your grocery requirements. VisitScotland / Paul Tomkins, all rights reserved. Portencross Castle, near West Kilbride VisitScotland / Paul Tomkins, all rights reserved. 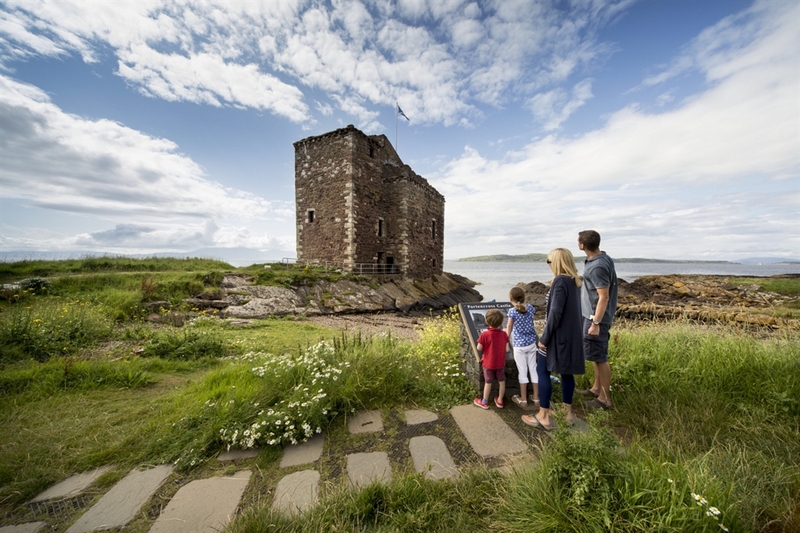 Portencross Castle, near West Kilbride VisitScotland / Paul Tomkins, all rights reserved. Seaweed-covered rocks are strewn across the sandy beach at Portencross, stretching into the distance under blue skies. Ayrshire & Arran tourism, all rights reserved. Worm's eye view of the Barony Centre, housed in a converted sandstone church, with a modern glass and steel extension.